Leaders must read the people, then lead the people. They must understand the timing, the people, the situation, and the priorities, then act accordingly. Their action depends upon how they read these factors. Live Your Message: Practice what you preach. That's where credibility comes from. Leadership is not about titles, positions or flowcharts. It is about one life influencing another. Remember, man does not live on bread alone: sometimes he needs a little buttering up. New Updates! (4/21/2019) We've been working really hard on completing our membership system so you can submit quotes and keep track of them. Once this is complete in the coming weeks there will be a lot more quotes by John C Maxwell and other authors. 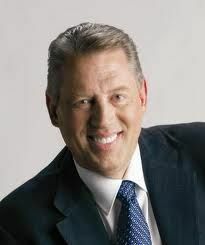 We've also changed the sorting on the site so you now see the latest John C Maxwell quotes first. Our goal is to have the best John C Maxwell quotes on the web!